We are very excited to host our first event at The Clement, a 6-Star hotel! 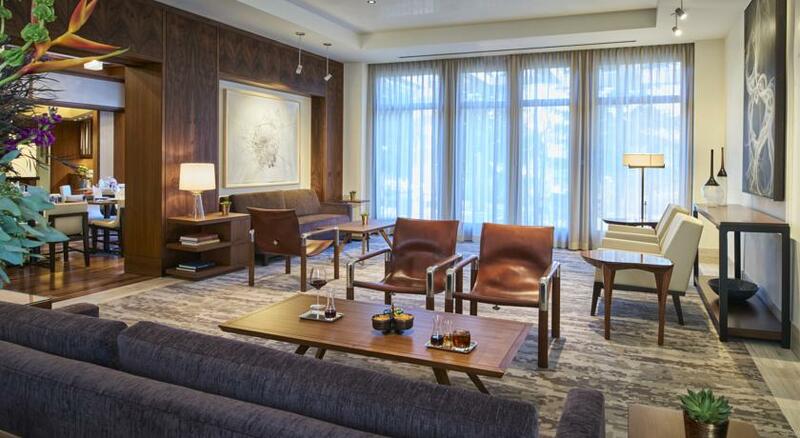 Experience upscale Luxury in Downtown Palo Alto; the newest and most inspiring urban retreat. The Clement is a high end, inclusive property. To that end, you will need to "check-in" upon arrival. There is a $50/person check-in fee, plus tax & gratuity, charged by property for admittance to this function. After check-in, you'll be escorted into The Library. This fee includes all you can drink cocktails, wine, and non-alcoholic beverages, along with a variety of snacks. This is required for admittance by the property. All Women's Talk approached PreQM to host their "New Ladies in Town" series. If it was our concept, we would rename it "New In Town" as it's open to men & women, married & single. Many are new to the area. Some are still in boxes. Moving is considered to be one of the most stressful things in life. Have you recently been relocated to Silicon Valley? Finding women few & far between in the sea of all of our fine tech companies? Come chill with us and meet some amazing people. It's an excellent networking opportunity. This event is part of a series of Meetup events for new women in the San Francisco Bay Area to expand their Bay Area Network.